Adrian Grunberg’s gritty tough-guy film, Get the Gringo, is a wry tongue-in-cheek action crime drama with an edgy but resourceful troublemaker for a protagonist. He is proactive and refreshingly clever, a guy who only looks out for himself in world where everyone is corrupt and everyone is out to get him. 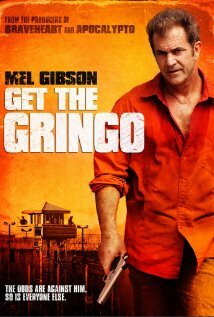 Colorful in texture, tone and visuals, Gringo creates a palatable experience for the audience free from the dictatorial confines of the mainstream Hollywood studio system, as is evident in some of its more taboo elements and several touches of brutal violence. Characters grow out of the naturally developing, organic plotline and are inseparable from this well-told story. Some viewers may find parts of the third act low on the believability scale but overall Gringo’s storytelling flaws are minimal. Although the film may not aspire to deep philosophical pondering the film fulfills its goal as a solid piece of entertainment. If you are in the mood for a Friday night flick that is refreshing, stimulating and all-around entertaining, give Get the Gringo a try. Previous PostPowerful Rewriting Tools #1: The Laundry ListNext PostIt’s Sketch Time!